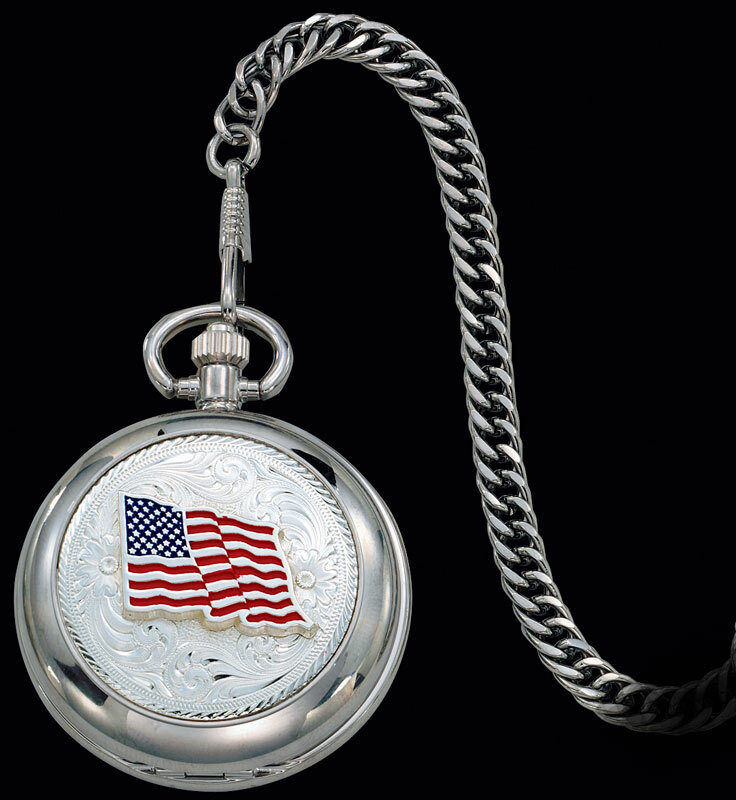 American Flag Pocket Watch by Montana Silversmiths. Engraved silver silver pocket watch with a high quality, electronic quartz watch movement by Citizen. Features a prominent, coloful, waving American flag on the hinged cover. Large, easy-to-read black numerals are displayed against a white dial. Includes a metal chain and clip. The American Flag Pocket Watch is made to order so please allow 4 - 6 weeks until shipping.